This past weekend, two beautifully elegant young women, both former Miss New York contestants, competed in Miss Virginia USA… again! Both have competed at Miss New York, both have competed at Miss Virginia, and last year both of them competed in Miss Virginia USA. Delesia was a Top 12 finalist, and Jamie was 2nd runner up. 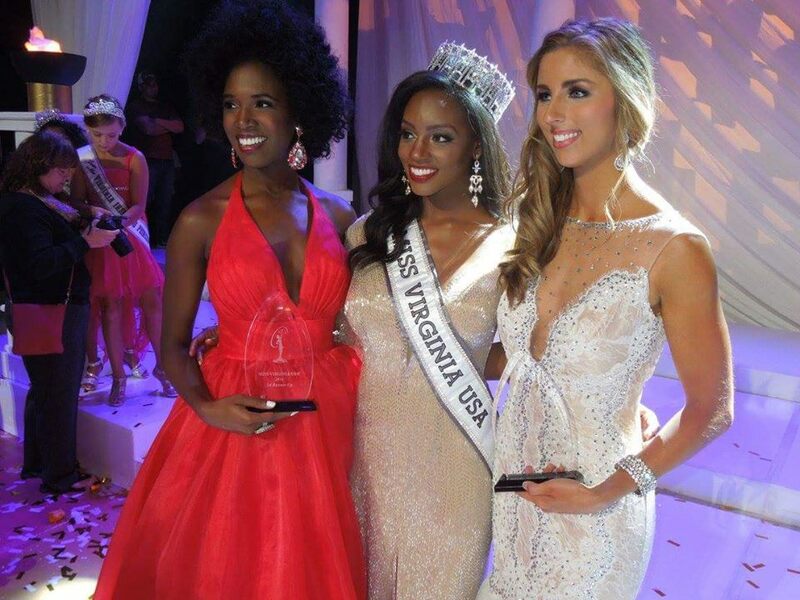 Both returned this year to try their luck once more at the Miss Virginia USA competition. Jamie Hughes, grew up in Virginia, where she held both state tile in the United States and International systems, and a Miss America local title. After moving to New York, Jamie competed at the Miss New York pageant as both Miss Liberty (earning the Non-Finalist Evening Gown award) and Miss Crown City (earning a swimsuit preliminary award). Delesia Watson made her debut in Miss New York as the first Miss Bronx to be crowned in the Bronx (earning the Non-Finalist Interview Award). She then returned to Virginia and won the title of Miss Virginia Dogwood, and earned a spot in the Top 11 at Miss Virginia America. As always, the competition had a preliminary competition where the contestants earned their composite scores in interview, swimwear, and evening gown. On Sunday, when the ladies came back for the final competition, both had earned a spot in the semi-final Top 13. Desiree Williams, former Miss Virginia 2013 MAO and former Miss National Sweetheart, went home with the Miss Virginia USA title. Delesia Watson earned the 1st Runner Up spot and Hannah Uhlig earned the 2nd Runner Up spot. Delesia also won the Photogenic Award. New York may no longer be their home, but there is no doubt that once you live in the City of Lights, you are destined to light up your life. Great job, Delesia and Jamie!